Georgette leads the integration of the master, academic and strategic planning for the University as well as develops innovative strategies that inspire and engage our alumni and donor communities. She leads and mentors a large senior staff team while supporting the needs and priorities of Chairs, Vice Deans and the Dean. 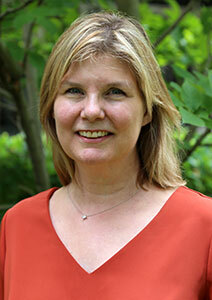 Prior to her current role, Georgette has served as the Executive Director of Alumni Relations for the Scarborough campus for eight years, the Director of University Awards and Honours from 2008 to 2010 and the Director of Advancement and Research from 2004 to 2008. During her decades of experience with the University, Georgette has rejuvenated and refocused campaigns such as Planned Giving leading to better efficiency and higher results. Her work on the Boundless campaign has resulted in record-breaking levels of donor support and participation. She holds a MASc from Henley Business School and an MBA in Marketing and Strategic HR from the University of Liverpool. Sonia provides leadership and vision to a team of alumni relations professionals, the Engineering Alumni Association and all regional alumni chapters. Sonia also leads the Faculty’s annual fund efforts. She has been working in the Faculty for 18 years and received both her BASc and MASc from the Department of Chemical Engineering & Applied Chemistry. Anne Marie manages all inquiries related to the Senior Iron Ring Ceremony, which is held in the spring of each year for individuals who have completed their undergraduate engineering degree outside of Canada and wish to obtain their iron ring. In addition to the administration of online ring orders, Anne Marie is responsible for handling general inquiries regarding the replacement of iron rings through the Camp One Iron ring website at www.camp1.ironring.ca. Katherine works closely with the Advancement team on donation submissions and development support. 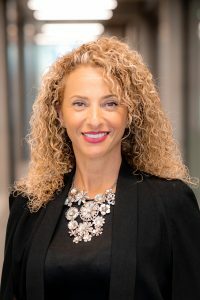 Prior to joining U of T Engineering, she ran her own business as a consultant in learning and development, and before that was an account executive and new business supervisor for a large multinational advertising agency. Katherine has a B.F.A. from York University and a certificate in Adult Training and Development from the Ontario Institute for Studies in Education at the University of Toronto. Deirdre provides strategic direction of stewardship and donor relations activities for senior leadership in the Engineering Advancement Office. 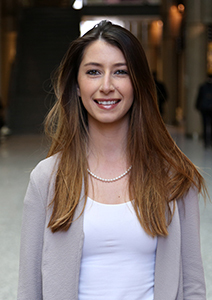 Prior to joining U of T, she worked at Pathways to Education where she created programs to engage donors and promote philanthropy. Deirdre has over seven years of experience in communications, donor relations and project management in the public and private sectors. She holds a degree in journalism from Ryerson University and is currently wrapping up a master’s degree in education at the University of Toronto. 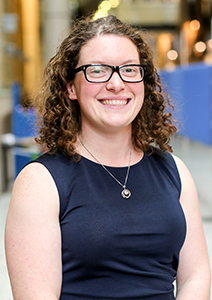 Emily works closely with the Advancement team to provide general administrative support in addition to compiling and organizing data on alumni engagement, volunteering, Graditude donations and events. Emily prides herself on her ability to accurately identify pinky ring sizes by sight (within half a size!) of engineering alumni who come into the office to replace their iron rings. Prior to her current role, Emily worked as the lead receptionist and public programs assistant at the Agnes Etherington Art Centre at Queen’s University. She has her BA (honours) in art history and an MA in art history from Queen’s University. Adria is an experienced fundraiser with over a decade of experience in strategic planning, leadership and aligning donors personal philanthropic goals with institutional priorities. 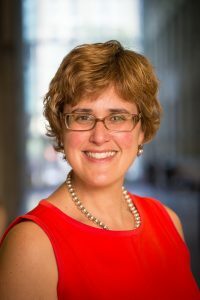 She is a senior member of the major gifts team and works closely on key Faculty-wide initiatives as well as focused support for the Department of Chemical Engineering & Applied Chemistry (ChemE) and the Department of Civil & Mineral Engineering (CivMin). Adria has spent her fundraising career serving the arts/culture and social service sectors, and most recently working with major gift donors and senior volunteers at United Way Greater Toronto. She is happiest when collaborating with board members, advancement peers, academic leadership and donors to deliver transformational impact that advances the organization. 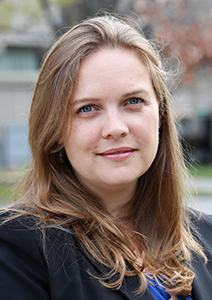 Stephanie supports the Faculty’s annual giving programs as well as major gift fundraising activities across the Faculty, with a focus on the Division of Engineering Science. 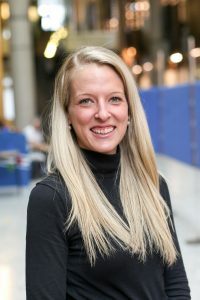 Previously, Stephanie managed the Faculty’s signature alumni programs and events including Spring Reunion, Convocation, the Engineering Alumni Network’s Awards Dinner and the Alumni Mentorship Program. Before coming to U of T, she led Habitat for Humanity GTA’s peer-to-peer fundraising campaigns as well as developed long-term engagement strategies for senior volunteers, donors and corporate partners. 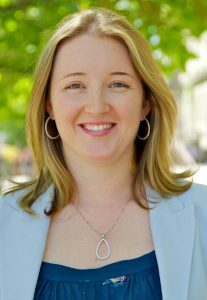 She holds degrees in history and political science from Wilfrid Laurier University and a master’s degree in international relations from York University. 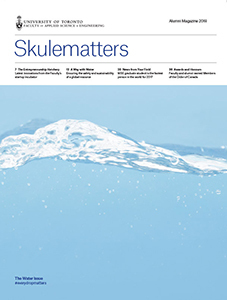 Kristin raises funds for the Faculty through the Skule™ Society ($1,000 to $25,000) and annual giving. She also leads special fundraising initiatives, such as reunion drives, class giving and other group philanthropy campaigns. She has more than 15 years of experience working in the charitable not-for-profit sector including Habitat for Humanity GTA, Canadian Feed the Children, Plan Canada and more. 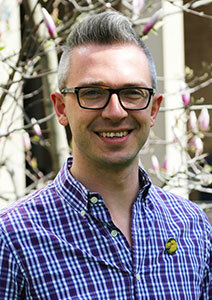 Steve provides support in managing the various engaged alumni boards and committees within the Faculty. This includes providing support to the Engineering Alumni Association (EAA), BizSkule Committee, Skule™ Lunch & Learn Committee, and regional chapters of the EAA. He also manages various engagement events to support alumni initiatives, as well as sitting on committees to provide funding and awards to students and clubs. Steve has eight years of experience in the not-for-profit sector, including at George Brown College and the Canadian Opera Company. He holds degrees in communications and English from Wilfrid Laurier University, and a post-graduate certificate in event management from Conestoga College. Lindsay plans and creates over 50 incredibly executed Engineering Advancement events annually. She has been an event planner at the University since 2013, and previously worked at Dinner En Blanc Toronto where she was the Venue a& Transportation Co-ordinator managing the logistics of over 2400 patrons. 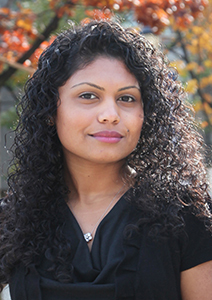 She holds a degree in Special Event Management from George Brown College. Sarah manages the online alumni community U of T Engineering CONNECT, uniting graduates with each other, current news and research, students, faculty, industry partners and staff. 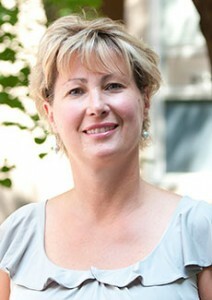 She began her work at U of T Engineering in 2008. Her prior role was as the external relations officer for the Division of Engineering Science. 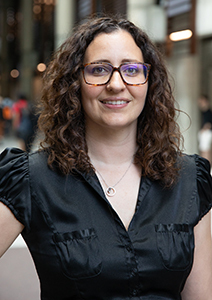 Sarah has been in post-secondary service for 17 years beginning her career at York University in 2000 in student finance, followed by six years directing alumni relations, admissions, finance and student service management at Glenn Gould School of the Royal Conservatory of Music. She holds a bachelor of arts in fine arts cultural studies and has a post-graduate certificate in marketing from York University.